Chandelier lights can be beautiful, but because they have so many facets and surfaces, they can quickly accumulate dust and dirt, making their otherwise sparkling appearance dirty and dull. 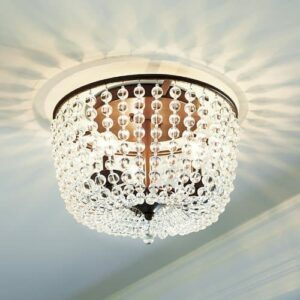 Though cleaning a chandelier may appear to be an overwhelming task, it’s actually relatively easy. Here’s how we recommend you do it. 1Unplug the fixture at the wall or ceiling or turn off the light’s circuit at the main circuit breaker (be sure to try the light switch to make sure the power is off). 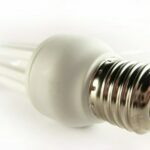 Remove all light bulbs and set them aside on a soft surface. 2Fold a towel and lay it in a sink, deep tray, or dishpan to keep fine glass from breaking. Fill it a few inches deep with warm water and detergent or dish soap mixed to a sudsy consistency. 3Pad a second large pan, deep tray, or basin with a towel and fill it with clean hot water mixed with 1/4 cup ammonia (for extra sparkle). 4Remove a few crystal drops and saucers from the chandelier. Don’t remove too many at a time or else you may forget their order when reassembling them. Soak a cloth in the sudsy water, wring it out, and wipe down the fixture’s frame and arms. 5Put the removed crystal pieces in the sudsy water basin, swish them around carefully, and wipe down their edges if particularly soiled. Rinse the pieces in the hot ammonia-and-water mixture and wipe dry with a clean cloth. 6Put each cleaned and dried piece back in its original place on the fixture. 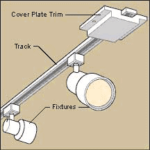 If you see any pieces or wire fittings that are bent, worn, or rusty, replace them with new ones. Continue removing and cleaning the crystal parts—and wiping down the metal body and arms—moving in small sections around the body of the chandelier until all parts are clean. 7Wipe down the bulbs with a wrung-out, soapy cloth. Make sure to wipe them dry (especially their metal bases) and then put them back into their sockets. When you’ve finished cleaning all the parts, plug-in the fixture or turn the circuit back on and watch it sparkle!